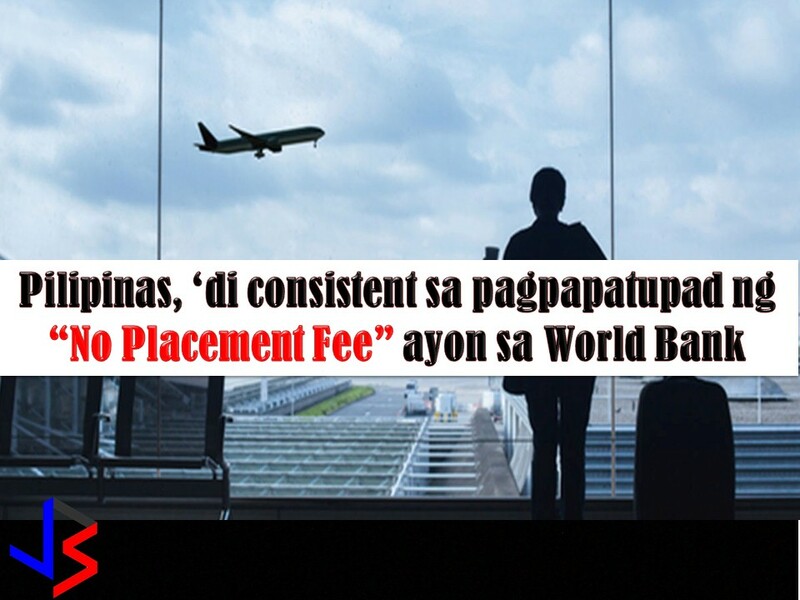 One of many problems many Filipino facing when they decide to work abroad is the "placement fee". This is even if the rule of Philippine Overseas Employment Administration (POEA) with regards to "No Placement Fee" hasn't changed yet. Which means, No Placement Fee for hired domestic workers, caregivers, and seafarers as well as OFWs heading to the United States of America through H2B visa, Canada, United Kingdom, Ireland, and Netherlands. Placement fees for all other OFWs are allowed, but only for one month's salary and only after an employment contract is signed. But just recently, in Business Mirror article, the World Bank (WB) noted, that the Philippine implementation of "No Placement Fee" policy for OFWs remains inconsistent. World Bank explains that placement fees paid by OFWs vary from as low as $5 in the Philippines to Saudi Arabia corridor, but as much as $100 for the Philippines to Qatar job destination. Read: New Zealand, in need of 5,000 Filipino Skilled Workers - No Placement Fee! According to World Bank, the enforcement of "No-Fee Policy" seems to vary across corridors and recruitment agencies avoid no-fee policy by imposing additional charges for training. Aside from this, World Bank noted that recruitment fees differ in terms of OFWs gender. Female OFWs in Saudi Arabia and Qatar pay lower recruitment fees compared to their male counterparts. 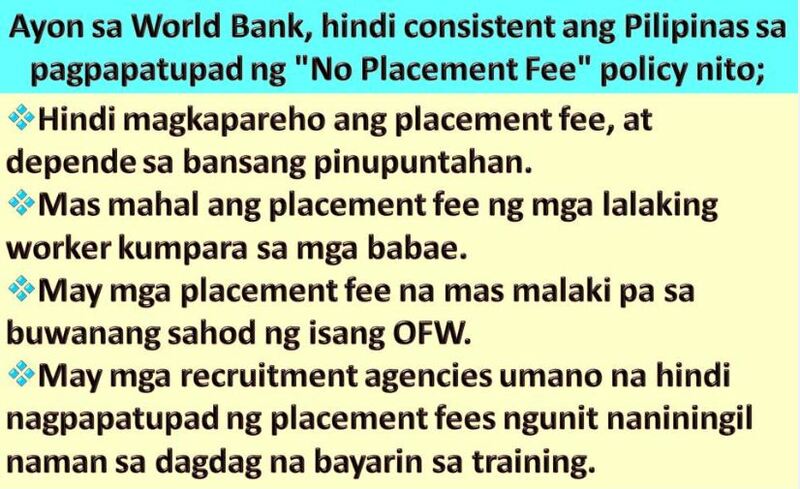 The bank added that these are an indication that the Philippines policy on placement fees are not implemented as expected. Read: OFWs Are You Infavor of Marriage Dissolution Bill?